Steampunk and alternate history have a lot in common; in fact, one might conceptualize steampunk as a branch of alternate history (at least, the steampunk set in the real world.) As such, we accept that some sort of change has occurred in the real world to cause a departure resulting in all sorts of exciting gadgetry and possibly airship pirates. While dealing with steampunk set in Victorian England or the United States, most western readers can easily recognize the references, and have at least some sort of an idea of what the original was like – and that enables them to spot the differences popping up in the steampunk-y alternate past. Alongside grad school, conventions, and running this blog, I’ve had the pleasure of curating this year’s steampunk blogging event over at Tor.com. This week, from October 3rd through the 7th, I invite you all to mosey over to Tor and check out the lovely contributions, book reviews & giveaways going on. 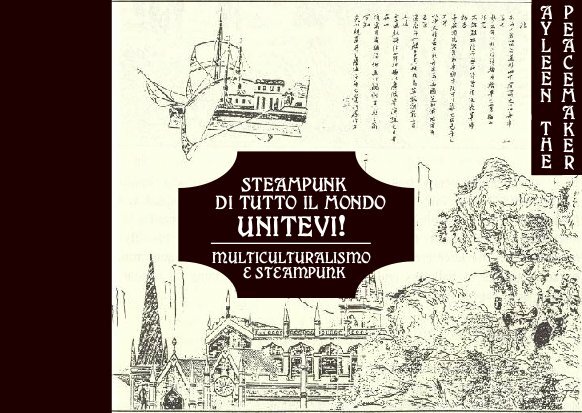 I’ll be cross-linking several articles that are relevant to Beyond Victoriana, but you can check out the full week’s worth of goodies on the Steampunk Week Index Page. Note as of 9/21/2010: Since the posting of this report, I have received feedback that a reader had been offended by my comments below for ignoring the presence of mixed race and Native steampunks at Dragon*Con. I take full responsibility for the offense made and apologize for my oversight. As noted in the comments of this post, I don’t wish to make a marginalized person feel that they have been rendered invisible when they visit this site. The lightheartedness in which I made the comments below in “The Count” about race, representation, and physical appearance ignores the very painful experience of being a person of mixed race/Native descent/light complexion who passes for white, but does not share the same experiences as someone from the dominant culture. I won’t change my initial comments below–because it would be hypocritical of me to cover up my mistakes–and I hope to receive further feedback about how to improve upon my reflections –and in turn, the content of this site– to be more open and welcoming in the future. My first Dragon*Con experience can be described in one word: overwhelming. Not surprising, since an estimated 60,000 attendees come to this convention every year. Since its humble beginnings in 1987, Dragon*Con has become one of the largest multi-media & pop culture conventions in the US, and there’s frequent debate in the geek world about whether Dragon*Con outmatches San Diego Comic Con. Though I’ve heard about Dragon*Con, I never considered going because of distance and cost. Outland Armour begged the Wandering Legion of the Thomas Tew to attend this year, however, and so I decided to tag along with my ruffians-in-arms for the journey. Thus, unlike other conventions I had attended, I had no set plans and didn’t intend to actively scout out the con specifically for steampunkery. I had plans on attending some of the panels listed on the alternative history track, and some other events, like the dark fantasy panels and seeing a couple of performers. My initial schedule plans shifted, when Austin Sirkin contacted me about speaking on the Race & Gender panel, and Emilie P. Bush (who I worked with for the Race, Class & Gender roundtable at the Steampunk World’s Fair) touched base with me about speaking on the Women in Steampunk panel. So I had two panels to prep for, along with making arrangements for work, in order to tackle a con I’ve never gone to before (and somehow figuring how to get down to Georgia at a reasonable price!) In the end, my experience was less steam-focused than I intended, but I did learn several valuable lessons about attending Dragon*Con. My list, plus the rest of the report after the jump. At the risk of tooting my horn a bit too much for the past couple of days, I’m announcing a little “bonus material” to add to today’s update. 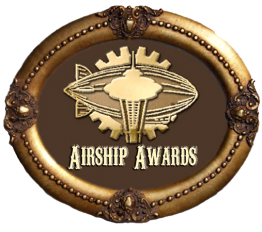 Recently, the dear Airship Ambassador cast a line down and we chatted it up about my thoughts on steampunk, blogging, and the focus behind Beyond Victoriana. ETA: The second half of the interview is now up, where Kevin and I talk about living the con life and much more. Image courtesy of BEA website. Note from Ay-leen: Due to further shifts in the schedule, this week’s post will be my con report for BEA. And tune in next week for Sandrine Thomas’ new article. In the meantime, I shall be investigating steampunk at its Source in London. Wish me luck! Some online commentors declared that when steampunk hit the New York Times Style Section, steampunk was dead. If that were the case, then the publishing industry has been beating a dead horse (or, perhaps, joining the “sell out” bandwagon as those same nay-sayers maintain). Nevertheless, with steampunk’s growing recognition as a subgenre (and cemented in March in relevance to US reading audiences when the Library of Congress created a “steampunk” fiction category), publishers and booksellers everywhere are intrigued by what, exactly, is steampunk and why, exactly, is it becoming one of the hottest trends in publishing today. During Book Expo America, the largest book fair event in North America that was held a couple of weeks ago, I had a chance to scope out a few steampunk-related events that served to educate the average reader about the growing hype surrounding steampunk.